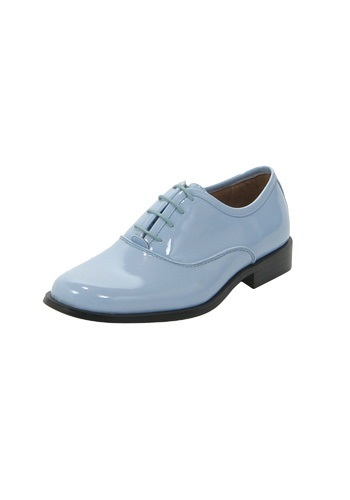 Baby Blue Tuxedo Shoes By: Fun Costumes for the 2015 Costume season. We really don't want to live in a world where you can't put on a set of baby blue tuxedo shoes and walk down the street. That's why we've made it our goal to offer these ones up to anyone who's ever had a dream of wearing blue shoes.